Looking for a way to enhance your golfing skills? Do you want to monitor your golfing performance? Finding yourself having a hard time keeping track of your golfing progress? Worry no more. A lot of software developers nowadays have been kind enough to develop various golfing apps on smartphones. Through golfing applications, you will have an easier time keeping up with your golfing progress. These golfing apps are also very helpful in improving your game because even if you’re on the go, you can still play virtually to hone your skills. You don’t need to take a leave from the office just to go to the golf course and practice your swings. Anytime, anywhere, you can do some swings as long as you have an app on your iphone or android. One of the main reasons why you need to consider flex appeal as your golf app is that it is created to analyze golfing data from a monitor and is fully compatible when used with a clubfitter. Due to these said features, it is the perfect choice to generate more customized recommendations. The Flex Appeal app will also be available with numerous versions that will suit different types of golf players. Specifically, the tour version is purposely designed to serve the needs of clubfitters and provide delight to true equipment enthusiasts. Basically, the said version will process data to generate a comparative analysis of shafts, additional information about endorsements and rights to the complete shaft database. The Flex appeal golf app will surely revolutionize the golfing app industry as it brings the experiences of golf players and aficionados to a whole new level. There are many android golf apps out there that can automatically detect whether the user is left-handed or right handed. 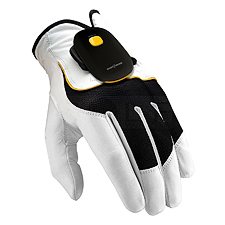 One example of an Android golf swing app that can detect a person’s hand dexterity is the 3BaysGSA PRO. The said app is one of the simplest golf swing analyzer available in the market. Users should not have any problem manipulating it as it will seamlessly fitto the end of the club grip and utilizes progressive motion sensors to record theuser’s swing pattern. Another app that you should also look into is the GolfSense android app that monitors swing statistics with superb accuracy and transmits information through a Bluetooth technology. The said app is very portable, has a negligible weight, has a five-hour battery that can be recharged and is perfect for players even if they are left handed or right handed. The V1 Golf App is also a good choice if you want to compare your swing to that of a right handed or a left handed golfer. Read The Best Golf Apps Product Reviews!